Scott Simenson has over 35 years of experience developing and teaching courses at the college and university level in applied technology fields. His teaching and research interests are in the areas of information technology and digital fabrication (Fab Labs). In addition to his academic career, Scott worked as the Technology Director for Banta Corporations Digital Group, located in Chanhassen Minnesota. He is the past Vice President, and Education Director of the Minnesota Information Systems Security Association, founding member and a director of the Midwest Fab Lab Network, now the US Fab lab Network. 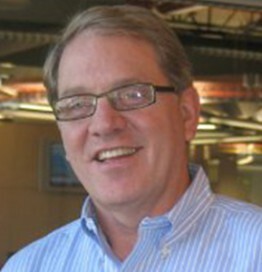 Scott has been affiliated with the Global Fab Lab Network since 2006. He is currently an instructor and director of the new Additive and Digital Manufacturing degree program at Century College where he also serves as the Director of the Engineering and Fab Lab.